A recent UNECE study on mapping of energy efficiency standards in buildings has shown that there is still much room for improvement in the setting and application of such standards in the countries of the UNECE region. In many countries there are challenges both with strictness and with enforcement of these standards. Bringing together its expertise in sustainable energy and housing, UNECE is helping countries to address these challenges. One dimension of this work is building knowledge among key stakeholders of tools and approaches to improve buildings’ energy efficiency. To support this objective, UNECE organized training seminar “High-performance energy efficiency standards in buildings in the UNECE Region“, in the framework of its Joint Task Force on Energy Efficiency Standards in Buildings (JTF). The purpose of the training, held in Saint Petersburg on 5-7 September 2018, is to assist policy makers, building sector professionals, researchers and educators in obtaining cutting-edge knowledge of best practices in developing and application of high-performance building standards that they can use in their countries. The training is the main activity of the project “Promoting the application of high-performance energy efficiency standards in buildings in member states of the Black Sea Economic Cooperation Organization (BSEC) and the United Nations Economic Commission for Europe (UNECE)” funded by BSEC. It was jointly organized by UNECE and JSC “Interstate Corporation for Development” in partnership with the Copenhagen Centre on Energy Efficiency. Over 50 participants from 15 UNECE countries – Albania, Armenia, Azerbaijan, Belarus, Bulgaria, Georgia, Greece, Kyrgyzstan, Republic of Moldova, Romania, Russian Federation, Serbia, Tajikistan, the former Yugoslav Republic of Macedonia, and Uzbekistan – participated in the seminar. Training facilitators presented information on existing legislation, barriers in implementation of energy efficiency standards in various building types, and necessary steps to attract investments for energy efficient retrofitting of buildings. The participants were also given a series of practical tasks: to analyse data related to energy efficiency classes of buildings; to create a financial package to request financing for building retrofit with energy efficiency components; to identify and prioritize the energy efficiency measures for a multiapartment building. The training programme was further complemented by insights from representatives from the Passive House Institute, Ministry of Construction and Housing of Russian Federation, Copenhagen Centre on Energy Efficiency, and the Co-chair of the JTF. “We expect that the target audience of this training seminar – policy makers, building sector professionals, and academia representatives – will apply the knowledge and skills received in the training to move the standards in their country closer to the high-performance level, and even more importantly, ensure that they are implemented and enforced. We also hope that many of them will be training the next generation of professionals in their respective countries, for whom application of high-performance energy efficiency standards in buildings will become business-as-usual”, says Scott Foster, Director of the UNECE Sustainable Energy Division. 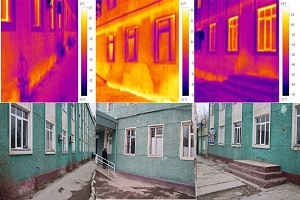 The study “Mapping of Existing Energy Efficiency Standards and Technologies in Buildings in the UNECE Region” is available in English and in Russian.